The Dreams decided to change name in 1970, just after Eric Bell had been replaced by Damien McKerr in late 1969. They became Freedom>, who released just one single. Freedom> supported Status Quo at their Irish debut at the Television Club in Dublin on 15 March 1971. The opening act was Thin Lizzy. 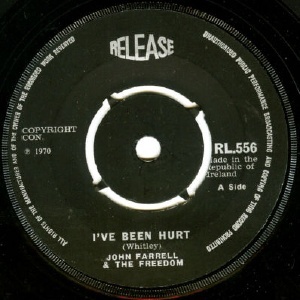 By 1971 John Farrell was fronting a ten piece outfit called The Groundhogs (no relation to the UK bluesrock band fronted by Tony McPhee), who released a single on Polydor the same year. We have no further details about this group but it may have been the same personnel as Freedom>. 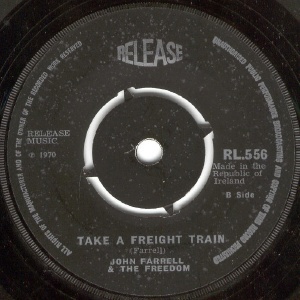 In 1974 John Farrell financed the re-release of the debut single by his old band The Movement. Shay O'Donoghue was later in Tony Kenny's Band.